The land of the rising sun is one of the most technologically advanced and one of the most beautiful countries in the world. 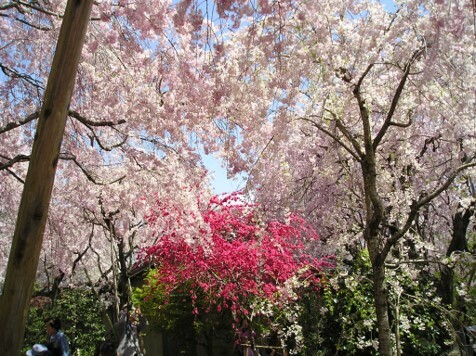 The beauty of the land is matched by the wonderful nature and hospitality of the Japanese people. However, Japan has been one of the most difficult nations to reach for the Gospel of Christ. Presently Christians make up only 1% of the population. Despite its present resistance to the Gospel of Christ, a fact unknown to many, including most Japanese, is that Japan has a long, rich Christian history. Over four hundred years ago, Christianity flourished in the land of the rising sun. How did Christianity penetrate and proliferate in this country and why did it nearly disappear? In this series, it is my hope to present a brief overview of the Christian history of Japan and answer those questions. 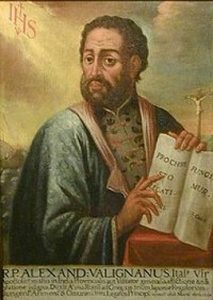 The first Christian missionary from Europe was Francis Xavier, who arrived in southern Japan in 1549. 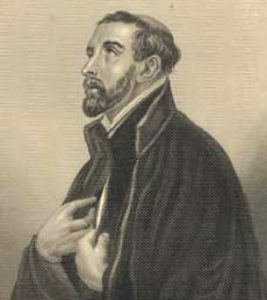 Xavier, a Jesuit priest born in Spain in 1506, is considered one of the greatest Catholic Missionaries. In the 1540’s he established churches in India, Southeast Asia, and Japan. Xavier stayed in Japan for only two years but left behind a budding church and high hopes for the Gospel in Japan. Following his time in Japan, he attempted to go to China but died before he could enter on the island of Macau. Xavier first landed on Japan’s southern island of Kyushu in the city of Kagoshima. He then traveled north to the city of Yamaguchi in southern Honshu, the main island of Japan. At this time Yamaguchi was considered the second Edo (the capital) of Japan. 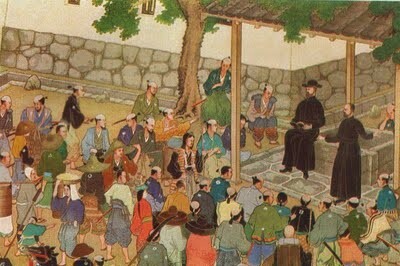 Xavier attempted to meet with the daimyo, or feudal lord, of Yamaguchi but was not granted audience with the official. Xavier attempted to go to Kyoto to meet with the Shogun and Emperor but after several weeks of failing to attain an audience with either, he returned to Yamaguchi. Xavier attempted a second meeting with the daimyo of Yamaguchi. This time, instead of coming as an impoverished priest, he appeared as a dignified envoy of a foreign power. He came with letters from the Governor of Goa, the capital of Portuguese India, wore a silk robe, and brought gifts. He immediately won an audience with the daimyo. The second meeting was a success, and Xavier was granted a license not only to preach but also to use an abandoned temple for his headquarters. Xavier preached two sermons a day. People flocked to the temple; samurais and noblemen alike stayed to discuss his messages. The Japanese struggled with several issues: Why is there evil? Why did God create hell? Why can’t people escape hell? Why should our ancestors go to hell if they never heard the gospel? These are the same questions non-Christians ask today. On certain days the bonzes preach publicly. The sum of all their discourses is that none of the people will be condemned to hell, whatever may be the number of their past and present crimes, for the founders of their sects will take them out of the midst of those flames, if perchance they are condemned to them, especially if the bonzes who have made satisfaction for them constitute themselves their intercessors. And they say women are as badly off if they neglect the five precepts. For they say that each woman, on account of her monthly courses, is covered with more sins than all men put together, and that thus so foul a creature can hardly be saved. They go on to say that there is some hope even for women of escaping from the prison of hell, if they give a great deal more than the men to the bonzes. They further declare that persons who in their lifetime have given money to the bonzes will after their death receive ten times as much in the same coin, for the necessities of their new life; and there are numbers of men and women who entrust considerable sums to the bonzes, in order to receive tenfold in the next world, and the bonzes give them a security in notes, which they write. The ignorant people have no hesitation in believing in this multiplied interest on funds thus invested. The notes of the bonzes are carefully preserved, and people about to die order them to be buried with them, in the belief that the devil will fly at sight of them. The bonzes have thousands of other impostures which I cannot speak of without pain. Xavier soon realized that finances played a major role in Japanese Buddhism. Financial contributions determined a person’s eternal destiny. He was disturbed and believed the people were being exploited by the bonzes, and this greatly grieved his heart. One thing is very amusing, that though they take money from everybody by way of alms, they themselves never give anything to any one. I omit, for the sake of brevity, the infinite number of ways they have of getting money given to them. But I cannot help grieving and feeling indignant at all the tribute the people pay to men like these, and all the honor in which they hold them. As he learned about Japanese Buddhism, Xavier recognized a huge void in Buddhist theology: Buddhism taught nothing of the origin and creation of the world. The cause of the universe is a major question that must be answered, and Buddhism could not offer any explanations. The Japanese doctrines teach absolutely nothing concerning the creation of the world, of the sun, the moon, the stars, the heavens, the earth, sea, and the rest, and do not believe that they have any origin but themselves. The people were greatly astonished on hearing it said that there is one sole Author and common Father of souls, by whom they were created. This astonishment was caused by the fact that in their religious traditions there is nowhere any mention of a Creator of the universe. If there existed one single First Cause of all things, surely, they said, the Chinese, from whom they derive their religion, must have known it. For the Japanese give the Chinese the pre-eminence in wisdom and prudence in everything relating either to religion or to political government. They asked us a multitude of questions concerning this First Cause of all things; whether He were good or bad, whether the same First Cause were the origin of good and of evil. We replied that there exists one only First Cause, and He supremely good, without any admixture of evil. Xavier was impressed with the Japanese culture and expressed high hopes that Christianity would flourish and remain in Japan. Father Alexander Valignano, who followed Xavier, wrote with equal optimism stating, “… this people is the best and most civilized of all the East, with the exception of the Chinese, so it is likewise the most apt to be taught and to adopt our holy law, and to produce the finest Christianity in all the East, as in fact it already is.” The Jesuits were reluctant to receive Asian Christians for ordination but Valignano thought so highly of the Japanese he urged that Japanese Christians be trained and admitted to the Jesuit Society. What greatly enhanced the spread of Christianity in Japan was the conversion of the daimyos. When the daimyos converted, the missionaries had greater freedom to preach in their domain. Also, the subjects of the daimyo s followed the example of their Lord in converting to Christianity. Of course, some genuinely received Christ while others did so for political reasons. In 1552, Yamaguchi was the first city to celebrate Christmas. By 1587, it is estimated that there were nearly 200,000 Christians in Japan. In 1597, it is estimated that approximately 300,000 Japanese had become Christian, 1.6% of the population. Father Organto, who followed Xavier wrote that Japan would be Christianized in 30 years expressing the optimism of missionaries that Christianity would thrive in Japan. 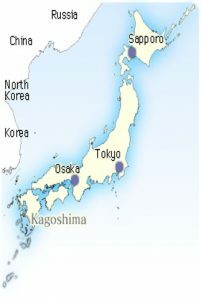 The strongest concentration of Christians were located in the south, but by the end of the 16th century, hundreds of churches were established throughout Japan and many Daimyos were baptized as Christians. There was great optimism and hope that Christianity would flourish in Japan and that Japan would be a gateway nation to the rest of Asia. Christianity flourished for the next forty years in Japan. Thousands of Japanese responded to the Gospel throughout Japan. Along with southern provinces, areas such as Sendai in the north had a high concentration of Christians. However, things would soon change rapidly. What caused the sudden change that brought one of the worst persecutions in the history of the Church? That will be the subject of the next section.